The residence nil-rate band (RNRB) will increase on 6thApril 2019, meaning that parents and grandparents will be able to leave £950,000 to their direct descendants, free of inheritance tax (IHT). 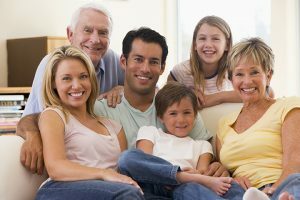 The RNRB is an additional amount of money, over and above the standard nil rate band of £325,000 per person, that you can leave, free of inheritance tax, if you leave property that has been your main residence to your direct descendants. It was introduced by the government in April 2017, when the additional amount was £100,000 per person, and it is increasing by £25,000 per year until next year, 20/21, when the RNRB amount will reach £175,000. This will mean that if you are married or in a civil partnership, your children or grandchildren will be able to inherit £1 million without paying any inheritance tax. Any amount above this will be taxed at 40%. Is there a limit to the property related allowance? Once an estate reaches £2 million, you will start to lose the residence nil-rate band. You will lose £1 for every £2 of estate. This means that by the time the estate is worth £2.35 million, you will not benefit from the residence nil-rate band. For expert advice on inheritance tax and managing your estate, please contact our advisors now. You can also find out all about inheritance tax on our web pages.